Devolving responsibility in a business is key for any good leader and could also help them plan succession. 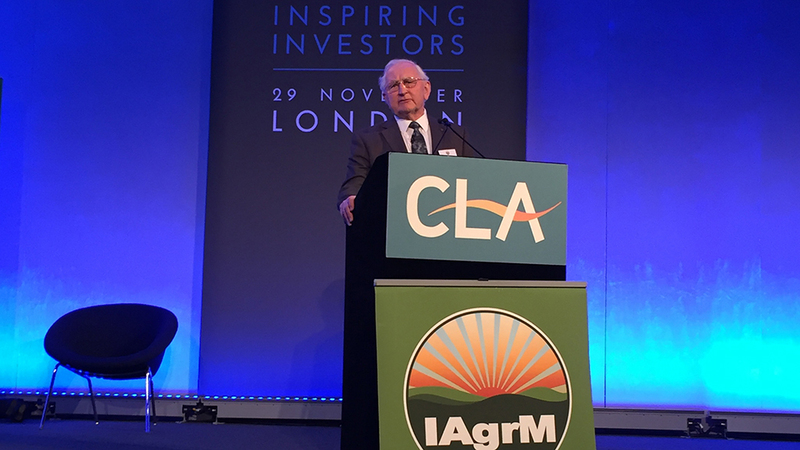 Delivering the inaugural IAgrM John Alliston Memorial Lecture in London, farmer and cheesemaker John Alvis said those who had a more dictatorial style found it more difficult to pass on responsibility. “But conversely, those who have a more consultative and inclusive style of leadership find succession a lot easier,” Mr Alvis told the event. Mr Alvis was speaking about the importance of motivation and leadership and called on his 56 years’ experience managing 140 people in the Somerset business which turns over about £26 million each year. He said while he had been ‘lucky’ his two sons and daughter-in-laws were keen to take the business on, responsibility had been devolved over a number of years. “Whereas the titles of managing director and chairman were given overnight, the process of evolution to those roles and succession has been done over the years,” said Mr Alvis. “But let us also make sure the next generation actually want to do the job, and not out of love but out of duty. He said communication was key in any size business, adding an open door policy between managers and staff worked best all round. He said clear and transparent boundaries were essential and Lye Cross Farm had set up a culture of freedom to operate according to his or her own beliefs, clear boundaries of responsibility and accurate, up to date admin, KPI and financial information. “In short we have created a ’no excuses’ environment because all essential decisions are self-made,” added Mr Alvis. Visiting professor at the Royal Agricultural University (RAU) John Wibberley said the onus was on educational institutions to give the next generation of young leaders the right tools. “Teaching entrepreneurship is necessary now in teaching,” said Mr Wibberley. The lecture was held in memory of RAU professor John Alliston who died last year. John’s son Johnny Alvis, who runs the farm side, shares his tips on hiring, motivating and retaining staff.